Hello everyone! 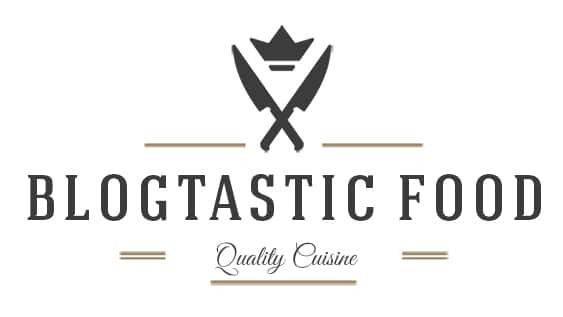 So before we get to the recipe for these Christmas trifles, I got big news, I have officially created a YouTube channel for Blogtastic Food, and this is my first video. So I won’t be writing too much today, and I’ll just let the video speak for itself. However I just wanted to write a bit about my experience with my first video. The process of making this video was very fun but I won’t lie it was tough. I thought this video was very good for my first attempt, and for me, it was a big learning curve. You’ll see that there are times where I look at the cameraman instead of the camera, you may notice that I stumble on a word or two and it was a strange experience talking into a camera for the first time. But the video turned out really well thanks to my brother Daniel, who is a media teacher, so he has quite a lot of knowledge when it comes to filming. Oh and I should just mention that the video is a good guideline but all the proper measurements are in the recipe, so make sure you look at the recipe if you want to make these. Oh and side note, I was actually too tall for that table I was cooking on, so I literally had to do the splits to make myself shorter. So although it may look like I am calm, my groin was experiencing quite a bit of pain at the time. My brother could not stop giggling as he was filming. Want a stress free dessert? 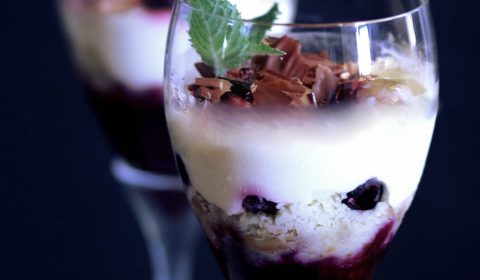 This trifle recipe is the answer! - 6 sheets of gelatine this is a guideline, but different brands for gelatine may differ slightly in ratio, so read the packet instructions when you buy your gelitine, and from there you can find out how many gelitine leaves to use for 500mls. Put your gelitine leaves in a bowl of cold water. Add your champagne to a pot or pan, bring to a boil then reduce the heat and simmer for a couple of minutes until all that sugar dissolves and you end up with a syrup. Turn the heat off, take your softened gelitine leaves and squeeze out the excess liquid then add to your hot syrup. Stir through until those gelitine leaves have dissolved, transfer the liquid to a bowl and place in the fridge for 2-4 hours until it sets into a jelly. Put your frozen berries, sugar and lemon juice in a pan, Bring the mixture to a boil, reduce the heat and then simmer for about 3-4 minutes until you have a nice dark and slightly jamified berry mixture. Set aside to cool. Place the extra berries into a plate lined with kitchen paper to defrost. These will be used as garnish. Whisk the cream in a bowl and stop as soon as the cream is thick and smooth. Next, add your baileys and sift in your icing sugar getting rid of any lumps. Then just use a spatula or wooden spoon to gently stir through. Place in the fridge for the time being until you are ready to construct your trifles. Tear and break your cake up into little pieces that will fit nicely into your glasses. Once everything is ready it's time to construct your trifles. 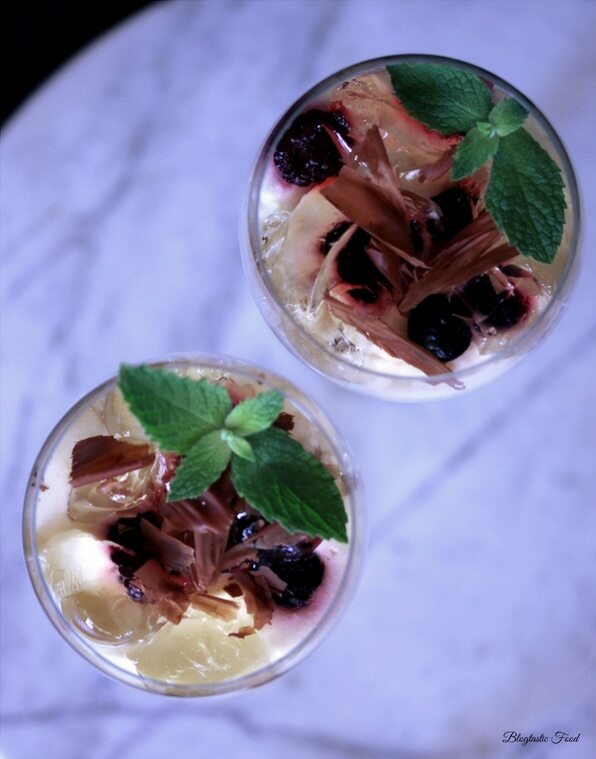 Spoon some the berry compote mixture in your desired glasses for your first layer. Add in some of your cake mixture for your second layer. Get those berries that you thawed out earlier, then add a few placing them up against the glass so it makes a nice presentation. Spoon in some of the baileys cream as your next layer. Add a few more of those thawed berries. Spoon in 3-4 nuggets of the champagne jelly as the final layer. Place in the fridge until ready to be served. A great moment of Joy ! Thank for tgis cup .